As you can probably guess, these aren’t official cartridges – they’re bootleg reproduction cartridges. It’s common for repro cart makers to take others’ ROM hacks and put them onto cartridges, which is what’s happened here. 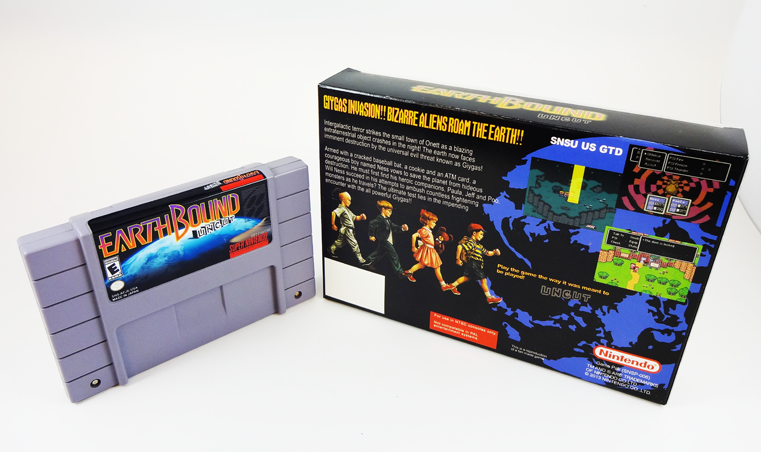 As far as I can tell, EarthBound Uncut is based on this old EarthBound ROM hack that a fan made based on my EarthBound localization comparison. I’m not even sure my comparison was complete back then, so I don’t even know how “complete” this uncut patch is. 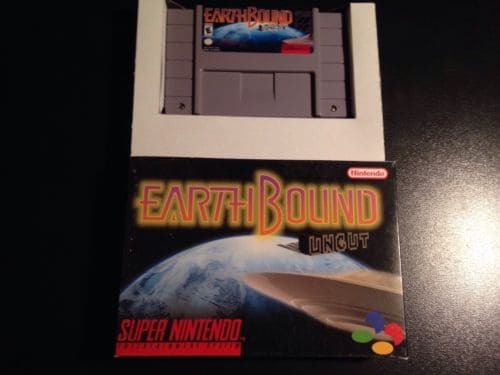 There are LOTS of hacks that are meant to uncensor EarthBound, though, so I might be wrong. If anyone has more info, let me know. Anyway, for those who are curious or who might ask in the future, hopefully this info will help! kevin please unban me i would like to make team to EarthBound 64 restoration for PC?do you really think i’m fake ip inside internet?you will be proud of me,please. I like how the first cartridge has a KA rating on it while the last one has an M one. 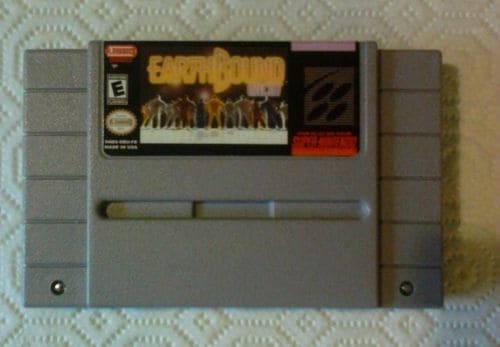 Something about the last one makes me think it’s not the Earthbound > Mother 2 patch, because even without censoring Earthbound shouldn’t be rated M.
It looks like these are actually selling for higher than the real things right now. What’s that about? Wouldn’t these encounter the pirate detection issues, or did the ‘uncut’ romhack fix that? Those guys have no shame? 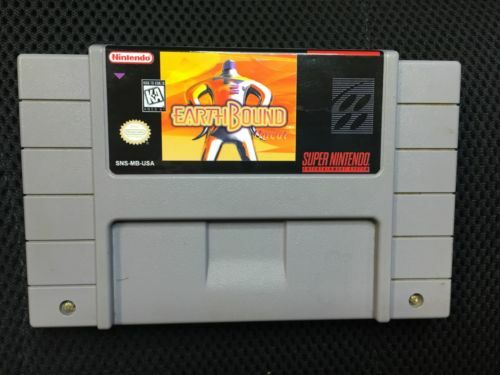 Selling repro cartridges based in a old romhack? 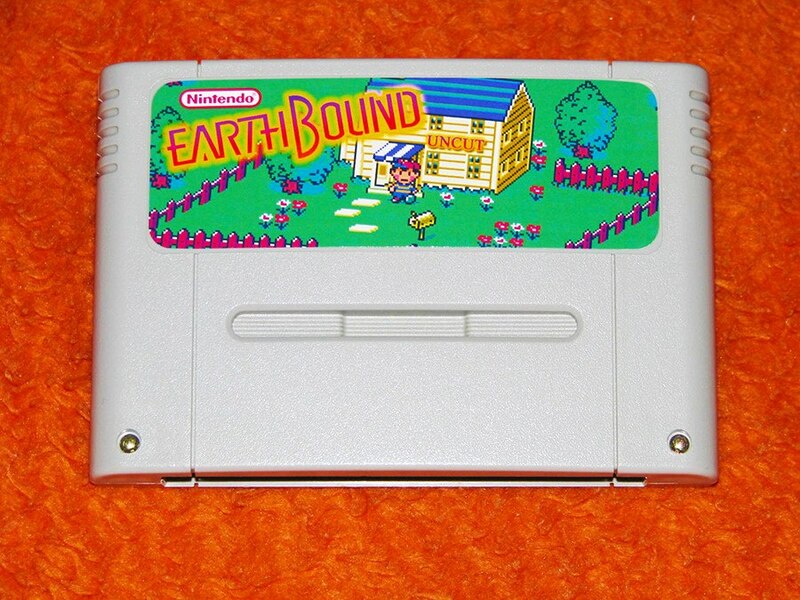 I also remember seeing a few repros on Mother 25th Anniversary Edition. Honestly, I’m not really against reproductions, as long as they are honestly represented as such. I know some people don’t like them for various reasons, but that’s not really for me to decide. I’ll let more intelligent minds have that debate. I have to confess about these reproductions. A couple of them catch my eye. I really like that bottom one for a design piece. I guess if you can look at these in simple terms of new and different artwork, then they are pretty enjoyable. The only good part of this is that it cuts down on the amount of forgeries being passed off as the real thing. 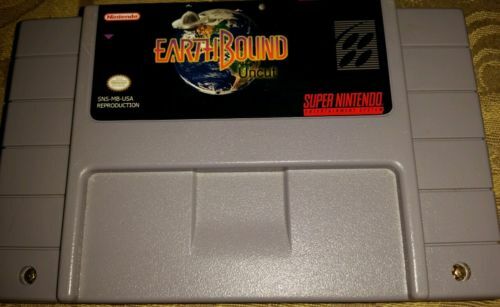 Is it possible to put Mother 3 on SNES cartridge? Love the one with Brawl artwork on it. Nothing says “swear-to-God official version of a game from the mid 90s” quite like artwork from the late aughts. It’s even written “REPRODUCTION” in full capitals on one of the picture examples above. How can people think it’s legit :P? 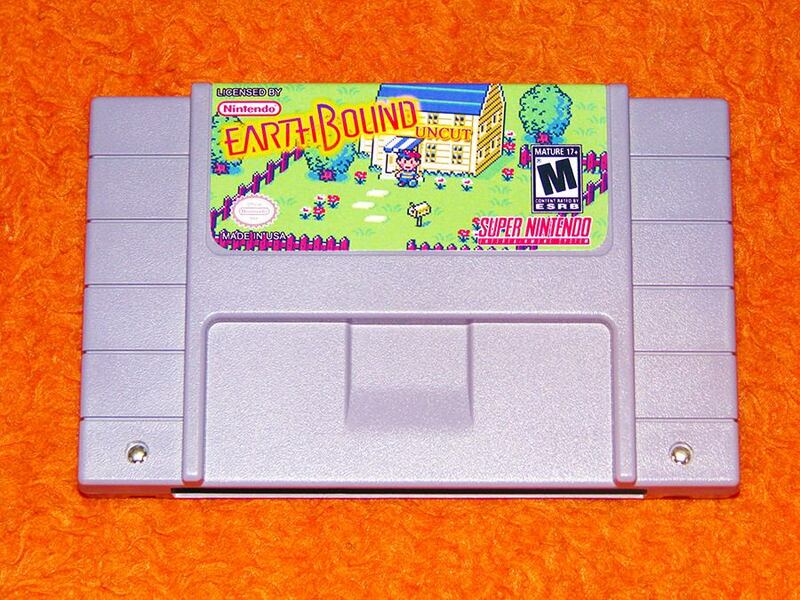 is it possible to put mother 3 gba on n64 cartridge again? That’s my hack! LOL. So funny. It’s been so long since I’ve touched it, I wouldn’t even know where to begin if I went back to update it. I remember the hardest part was to get “PSI (Favorite thing)” changed to “PK (Favorite thing)” I was so excited when I got it to work correctly. I gotta say, that artwork with the lined up Starmen looks pretty cool. Man, it’s been a while since I posted here. 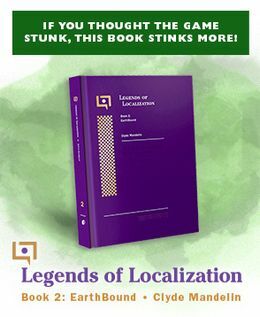 This is the first of two patches I have used which attempts to restore censored and mistranslated content. The other one is here, for the sake of open discussion. It appears to take a different approach and seems to be based on a more recent version of Tomato’s comparison. I want one of these uncut ROMs on the internet so we can see this bootleg crap because I love crap and this would be intruguing. 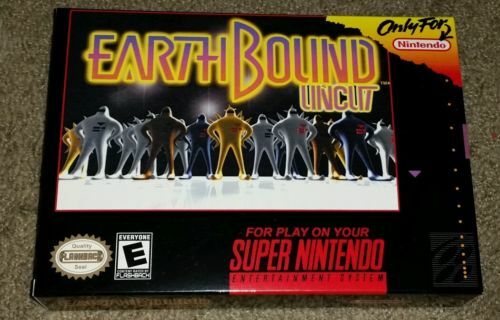 Earthbound Uncut is Mother 2,The Japanese version of Earthbound, (Mother 2), had inappropriate content like Ness walking around naked. 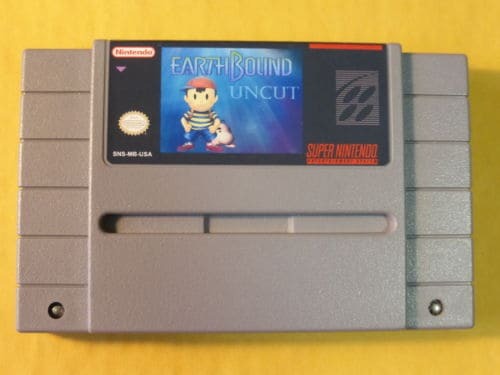 So, they restored the cut features of Mother 2 onto a SNES cartridge instead of a Super Famicom cartridge for the US.